Butlerz have been providing a popular dry cleaning, laundry and specialist dry cleaning services covering a wide area across the borders of Surrey, Hampshire and West Sussex. 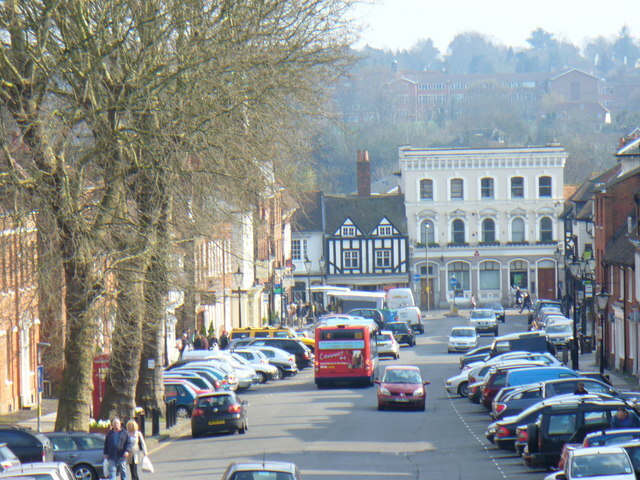 Within that area sits the lovely market town of Farnham. Recently acquiring new business in Farnham providing dry cleaning services for a large retirement home, by popular demand Butlerz are now making it services more available for this town’s inhabitants. The services include our very popular free pick-up and delivery services for dry cleaning, laundry, wedding dress, prom dress and suede and leather cleaning services plus our specialist services for wax jacket cleaning and re-proofing, plus our expert on-site cleaning services for curtains, upholstery and carpets. Butlerz provide a dry cleaning service for a retirement home in Farnham and we find that there is as much demand for dry cleaning services among the elderly as those at work. This is because there are always going to be delicate items of clothing such as cashmere, silk, lace that need expert care and of course to prevent shrinkage while cleaning wool items. These are expensive items that need to be professionally cleaned to clean and maintain them for many years to come. We also find it’s a needed service for those who are less mobile and if it’s a cold and wintery day especially, some elderly folk like to have the choice to stay indoors. What do Butlerz Dry Cleaners have to Offer? Butlerz are experts at providing a range of cleaning services also for the home. As a business, Butlerz are small enough to care and look after individual customers yet having the technology, years of experience and expertise of a much bigger dry cleaning enterprise. By offering a fast, bespoke dry cleaning and laundry service, personalised to accommodate any customers needs we take away a time-consuming job and we always get such positive feedback from grateful customers. This makes us a very poplar service and one that we want to offer more customers in Farnham. Butlerz have found that it’s the convenience of the pick-up and delivery service that really makes the difference and of course it is totally free! Customer’s also value that it’s the business owner, Nigel Hardy, who carries out the pick-up and delivery service, so you get to know him personally and be assured it’s the same reliable driver each week. What other Services can Butlerz offer? Butlerz do more than just dry cleaning, we can be your one stop shop for the home. We offer Ironing Services, Laundry, we even pick up Wedding Dress and Prom Dresses for expert care, repair and cleaning. We also offer Carpet and Upholstery cleaning and Curtain and Blind cleaning.